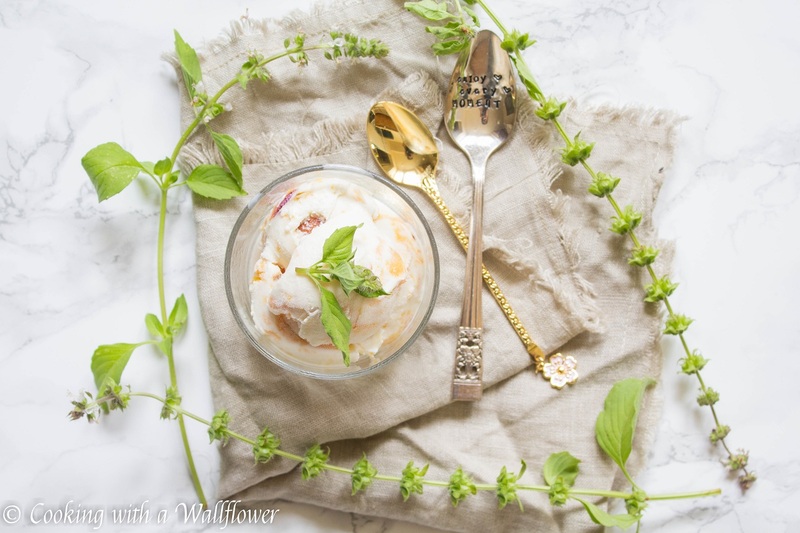 Roasted peaches swirled into lemon basil ice cream. 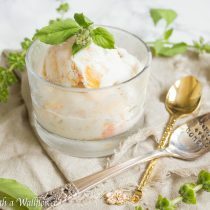 This no churn roasted peach lemon basil ice cream is delicious and refreshing, perfect for summer. Did you see the eclipse yesterday?I was fortunate enough that my office blocked off two hours in our schedule so that we could go out and watch the eclipse. 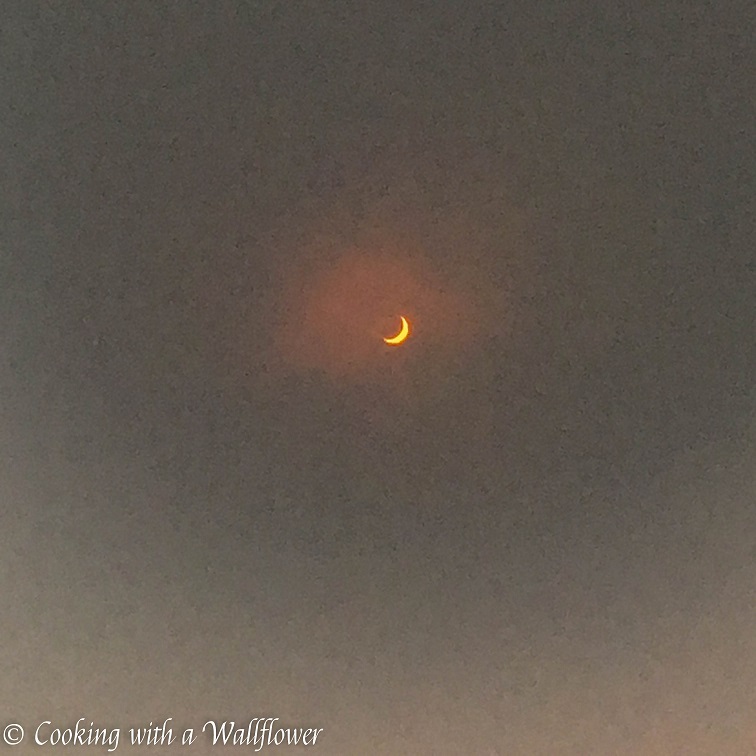 We did have a pair of eclipse glasses to share, but since we live in San Francisco and the overcast skies were filled with fog and thick clouds, the sunlight was blocked out and you can clearly see the eclipse. But let’s talk about this ice cream. I recently discovered lemon basil at the farmer’s market. Even though I have never used it before, it smelled sooo good, I had to buy a bunch. Breaking off a leaf, your hands will become scented. Think lemon and mint. The combination of the two flavors is so refreshing. I thought it would be the perfect flavor for ice cream . Every bite of this ice cream has a citrusy flavor filled with soft yellow peaches. 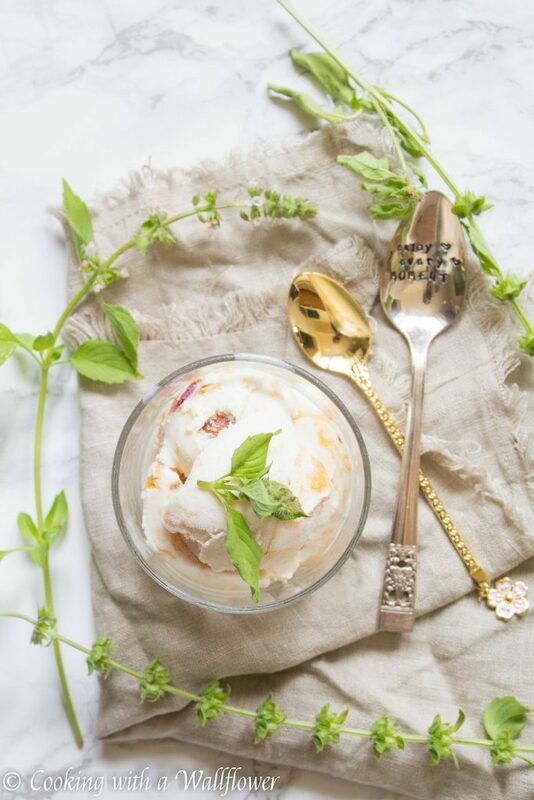 It’s definitely the perfect dessert for summer. But if you don’t have lemon basil, or can’t find it, you can substitute with mint leaves too. Preheat the oven to 400F. Line a baking sheet with aluminum foil and set aside for now. Toss chopped peaches with a tablespoon of brown sugar. 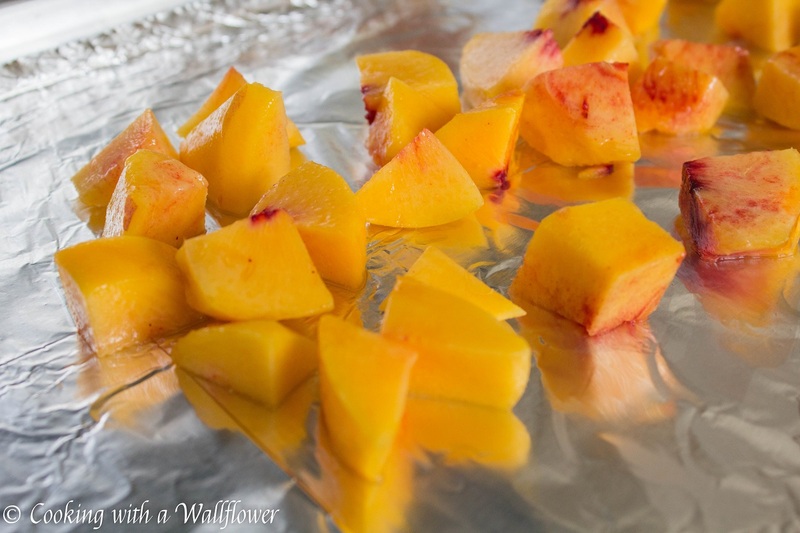 Place the chopped peaches onto the baking sheet. Roast the peaches for about 20-30 minutes until the peaches have softened. Set aside for now. 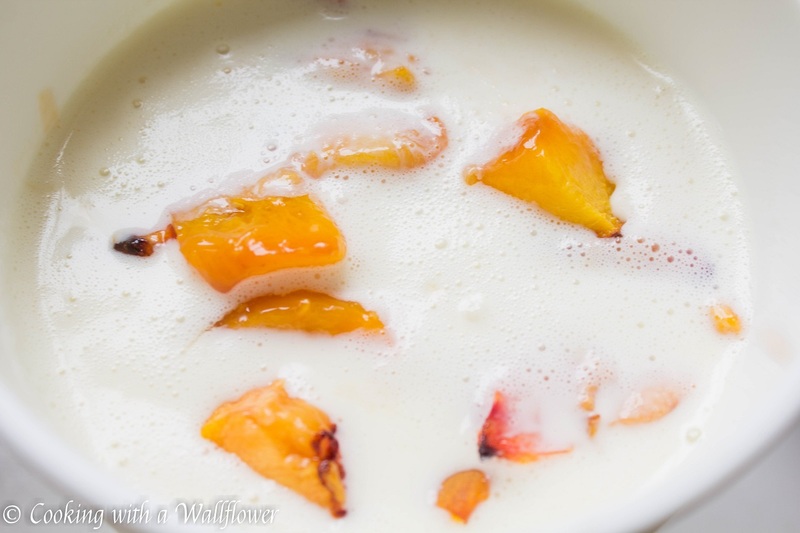 While the peaches are roasting, pour the heavy cream into a medium sized pot. 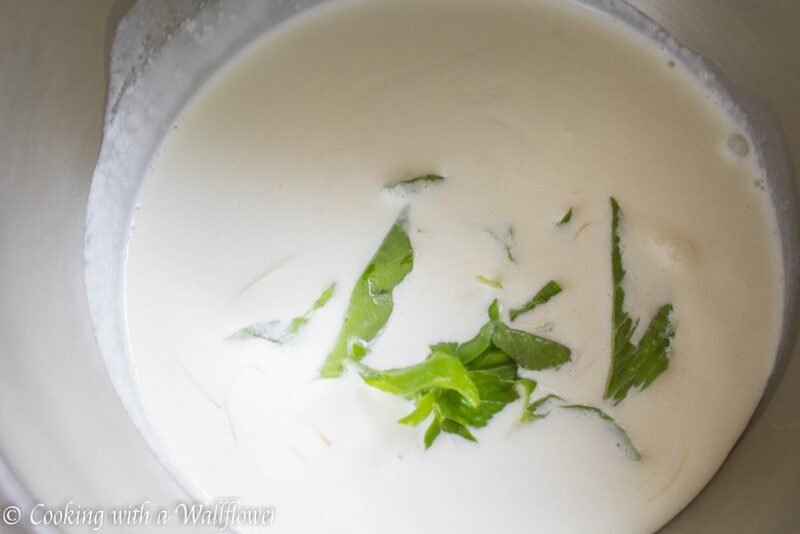 Add the lemon basil leaves into the pot, and steep them for about 10 minutes so that the flavor will infuse into the cream. Allow the cream to cool down completely. Remove the lemon basil leaves. Pour the heavy cream into a large mixing bowl. Add condensed milk to the heavy cream, and mix with a whisk or a hand mixer until bubbles form, about 5 minutes. Add the roasted peaches to the heavy cream mixture. Stir until the roasted peaches are well incorporated. Pour the ice cream mixture into a freezer safe container, and place into the freezer. Stir every hour or so to make sure that roasted peach don’t sink to the bottom. You’ll want to do this 3-4 times. Allow the ice cream to freezer for at least several hours before serving. 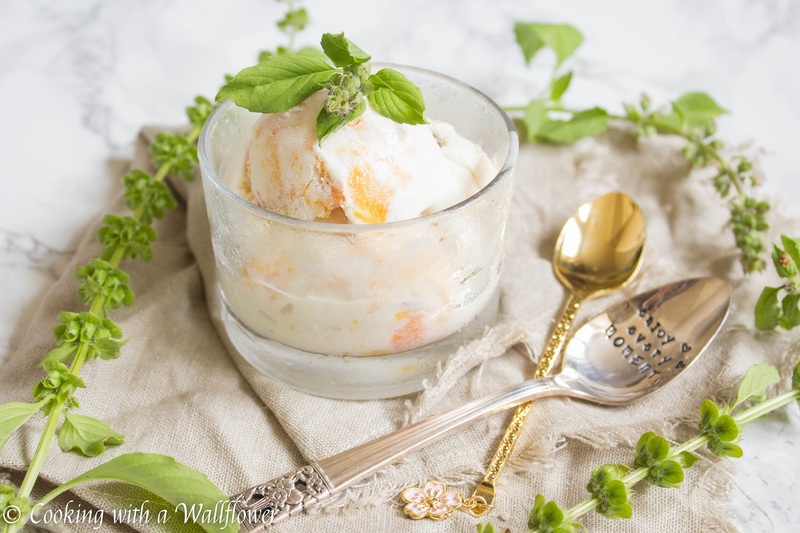 Serve this no churn roasted peach lemon basil ice cream with your favorite toppings. Toss chopped peaches with a tablespoon of brown sugar. Place the chopped peaches onto the baking sheet. Roast the peaches for about 45 minutes until the peaches have softened. Set aside for now. 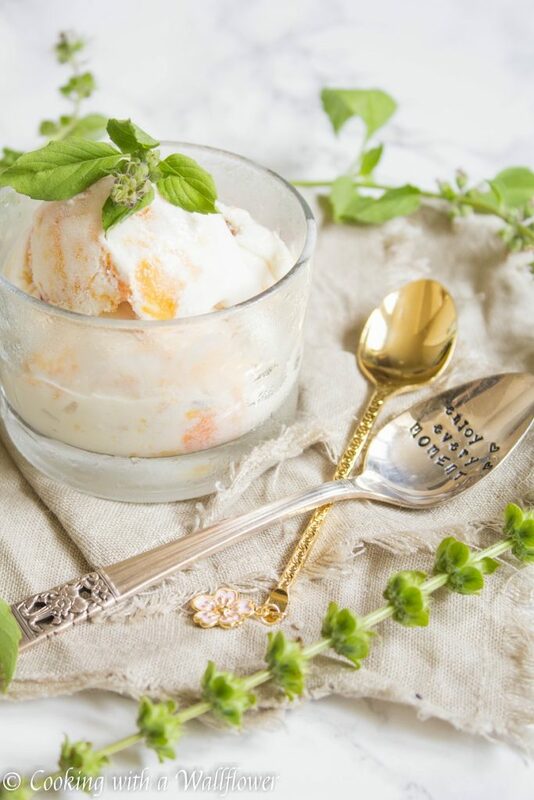 This entry was posted in Desserts, Gluten Free, Quick and Easy, Recipes, Summer Cravings, Vegetarian and tagged dessert, farmer's market, gluten free, ice cream, peach, vegetarian. This ice cream sounds so delightful! 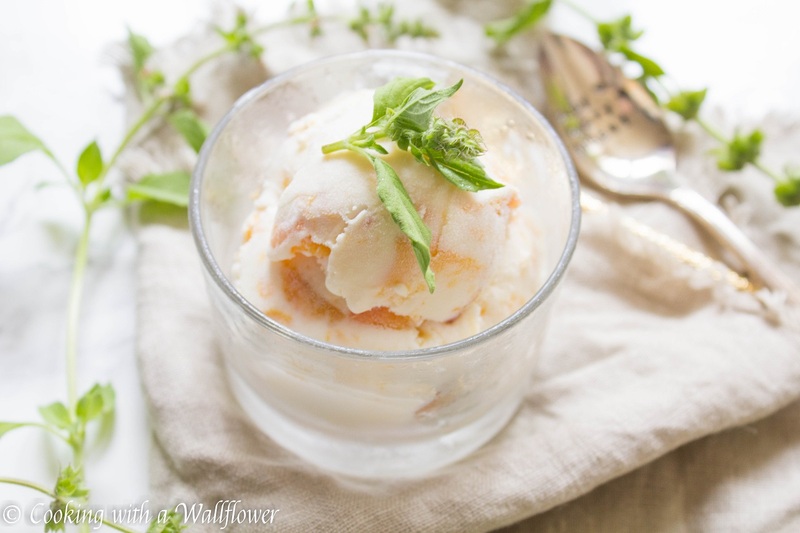 I love peach season, what a great way to use them! You are making so crave ice cream and I’m allergic! Oh no! Is it to milk? Oooooh girl, I could go for some of this right about now! Lovely! 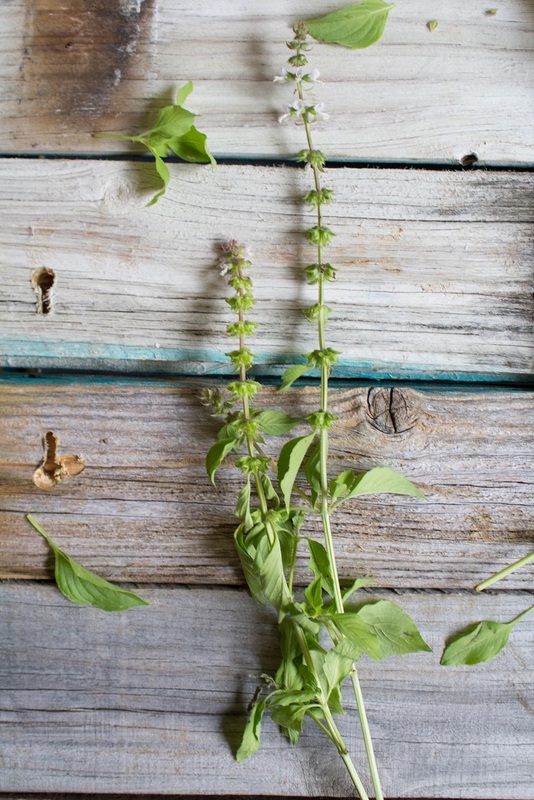 Lemon basil is great to use with seafood, too. I frequently make ice cream and am anxious to give this a try. I’m betting it would work fine in my little electric freezer. I’ll have to try it with seafood! Do you add it at the end?